Real estate is one of the vital resource that contributes to the development of an area. The more the real state companies provide best service the more the people get benefitted and the area develops. Mumbai being the largest city in India, real estate has spread its wings wide across the city. This makes the city maintain its wealth. When it comes to buying a property you should always be very careful from whom you are buying the property and how trustworthy the company is. There are many fraud companies that sell the property that are not approved by the government. If this is the case then your money is gone in vain. There are many loyal real estate companies in Mumbai which sells property that are trustworthy and legally approved and makes your investment really worth. 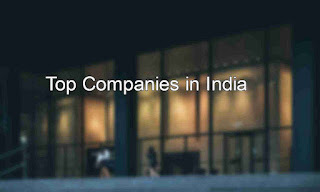 Listed below are the top real estate companies in Mumbai. Lodha is the most premier real estate company located in Mumbai which was started in the year 1980. They are the number developers in the county who has covered a large space with numerous projects. They are the best real estate companies that has gained valuable customers with their best service. Their signature projects are Lodha Bellissimo, Lodha Golf and Pallava. This is one of the top real estate companies in Mumbai that has built several world-class commercial and residential properties in Mumbai. Some of their best real estate projects in Mumbai. Oberoi constructions was found in the year 1980 which was later renamed as Oberoi Realty is the biggest real estate company in Mumbai. They have built over 32 projects in Mumbai covering the area of over five million square feet which includes residential space, office space, golf courts, hospital, shopping malls, hotels and so on. “Oasis tower” is the second tallest building in India built by the Oberoi realty group. Oberoi Realty is one of the top real estate companies in Mumbai. Some of the remarkable awards received by this real estate company. Godrej properties was established in the year 1990 which comes under the Adi Godrej group. They come within the top 3 best real estate companies and also ISO certified. They are the best company that provides excellent service, good construction and best value product. Godrej Hill, Godrej Riverside, Godrej one, Godrej platinum are best the landmarks of Mumbai that belongs to Godrej properties. Godrej is one of the best real estate devleopers in Mumbai. VBHC value homes private ltd was found in the year 2008. They are the best real estate companies that produce quality projects that are affordable by everyone. They adapt to the latest technology and give excellent results. VBHC has also placed many landmarks in Mumbai, Bengaluru, Chennai and NCR. VBHC y is one of the best real estate companies in Mumbai. L & T realty is the subsidiary concern of the Larsen and Turbo group. They are one of the oldest companies that has succeeded in many areas such as engineering, construction, manufacturing and many more. They are best known for the quality of work and timely delivery as they work 24*7. They full fill the customer expectation by producing high standards. L & T is one of the top real estate developers in Mumbai. Acme real- estate company is best for producing luxury spaces. They have proved their excellence by giving high standard outputs and creating several landmarks in Mumbai. They have numerous properties on hand and creating luxury commercial spaces in the city. Acme is one of the top builders in Mumbai. Andheri (E), Mumbai – 400 093. Indiabulls real estate is the top third real estate company that has earned reputation by building ispiring projects. Their principle is to produce high quality result. They mainly focus on residential spaces and has many iconic landmarks in Mumbai. Indiabulls is one of the top builders in Mumbai. Marathon realty is one of the pioneer real estate company established in the year 1969 that has over 46 years of experience. It has completed over 80 plus projects. Their latest technology and prompt service has helped them reach heights in the real estate industry. Marathon realty is one of the top real estate companies in Mumbai. Kolte Patil has over 25 years of experience in the real estate industry. They are best brand for producing quality projects. They have built multiple residential spaces, IT parks and commercial spaces in a very innovative way. Kolte Patil is one of the largest developer and has landmark projects in Mumbai, Bengaluru and Pune. Kolte Patil is one of the top real estate companies in Mumbai. Sobha real estate was found in the year 1976 which has spread its wings in India and Middle East. The company earned its reputation by delivery high standard projects without compromising on quality. It is one of the largest real estate organization in India. Patil is one of the top builders in Mumbai. Sobha Limited was honored with the ‘One of India's top 10 builders award for the year 2016’ at the 11th Construction World Architect & Builder (CWAB) 2.0 award cermony. Hope this article would have given you an idea about the Top 10 Real Estate Companies in Mumbai - Construction companies - best builders - real estate developers in Mumbai.